I was reading this to see what I might add to my Golden Retriever's diet when he has an upset stomach or has been on an antiobiotic. Currently, our vet puts him on the Hill's canned Prescription Diet I/D for several meals, and he has recovered quickly; however, I have observed his eating feces (dog and horse poop) often and wonder if something is missing in his diet? Also, considering the new concern about the topical flea and tick preventatives, what do you recommend? We live in a woodsy and thickly deer populated area? 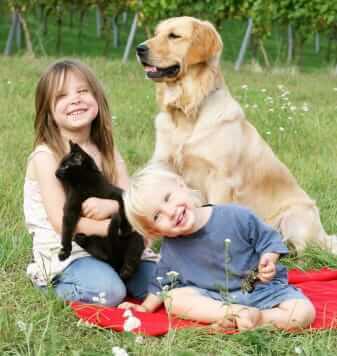 We've been feeding Life's Abundance for over 6 years now, and our labs RARELY have any digestive issues. Thanks to the direct-fed microbials and the other excellent ingredients, we can say the health of our dogs and cats has never been better! Translation: Thank you for your wonderful publication! I really enjoyed reading it, you could be a major author. I will remember to bookmark your blog and eventually return someday. I want to encourage you continue your great writing, have a nice day!